Holidays are a much-needed event, and none more so than in January! A much-needed respite from the excess of December is actually much easier than you would think. Here are ten places that you could go on holiday in January. No list of the best places to visit in January will be complete without mentioning Barbados. Barbados is the city that is inimitably in the center of Caribbean tourism. Barbados is certainly the place that comes to mind when we start fantasizing of afternoons amidst an island paradise between the scorching sun and the calm blues of the ocean. The capital of Bridgetown makes its presence felt with its treasure trove of history, heritage and most delicious food. Or wander to the nearby fishing village of Bathsheba to take in the sights and sounds of the village and the iconic Saint Joseph Anglican Church. A leisurely stay at many of the resorts and destination hotels along the west coast are definite recipes for memorable yet laid-back vacations. 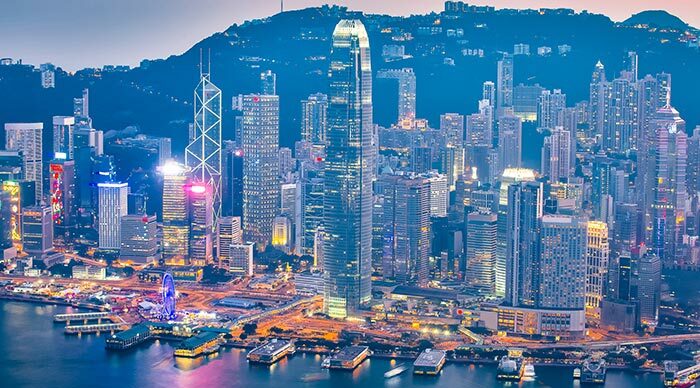 Hong Kong is, without a doubt, the pinnacle of what was once known as the Far East. Hong Kong is equal parts Chinese metropolis and global icon with a dash of curiosity thrown in for good measure. The mainland being easily accessible with easy flight schedules from all major airports, definitely is a valuable asset. Bask in the wonder of the towering skyscrapers across the skyline of the Central district on Core Island, or ferry across the Victoria Harbor to dip your toes in the mainland of Kowloon, known for its epicurean delights and vibrant nightlife, in particular, the Mong Kok area with its rustic markets and hearty street food. If it is a respite from the bitter December cold that you seek, then Patagonia in Chile is the place to go. While beach weather may be hard to find, snow-capped peaks of mountains, clear blue waters with tantalizing teal hues, and long sun filled days are not. The temperature also favors you with it ranging in the 60s making that long wait while spotting a whale near the Valdes Peninsula all the more worth it. 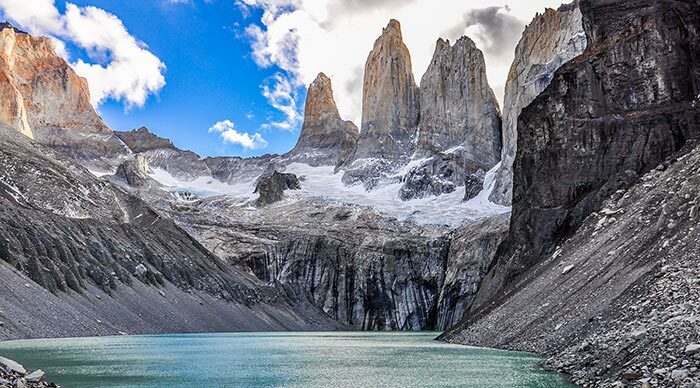 Another place to check out would be the Torres Del Plaine National Park for a taste of all the flora and fauna that Patagonia has to offer with chances to explore the glaciers in the nearby mountain ranges. 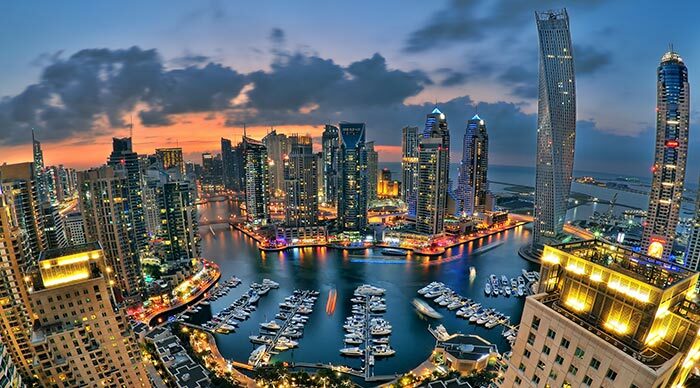 While many argue that the fancy and ambitious artificial islands and the gargantuan shopping malls are substitutes for any real culture, we argue that those are core components of Dubai. Adorned by many tourists particularly from the UK at this time of the year, Dubai is definitely one of the best places to visit in January. Whether it be the symbolic and iconic Burj Khalifa, or taking a jeep across the vast and endless deserts that neighbor Dubai, or even the numerous sun-kissed beaches, you can be guaranteed a vacation that will leave you with the memories of a desert fever dream. 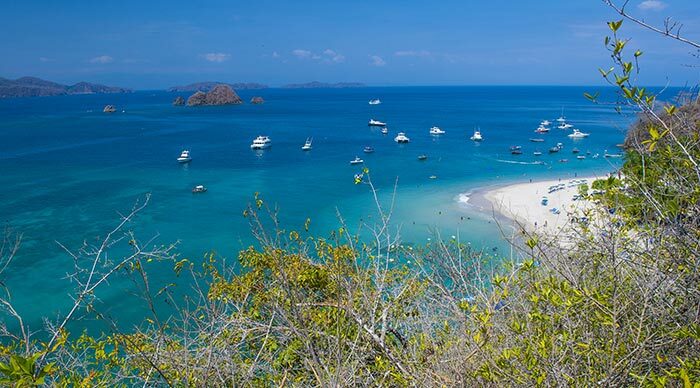 While on the topic of sun-kissed beaches, one would be remiss to not include Costa Rica in one’s travel plans. Situated among the many islands of Central America, Costa Rica is nestled between the Pacific Ocean and the Caribbean Sea. Hike along the Irazu volcano and gaze at the vast sea stretching infinitely, or perhaps take a trip to the many national parks such as San Jose National Park or Tortuguero National Park. If you seek more metropolitan pleasures than a trip to the national capital of San Jose will cure your cravings for afternoons amidst the cosmopolitan allure of the city. Kauai is, without a doubt, alluring- with the beautiful blood orange sunsets, teal skies, and glistening oceans. One of the oldest islands in Hawaii, Kauai is ripe with Polynesian culture and cuisine. Kauai is the destination to let your inner adventurer out with its prized hiking trails such as the Kalalau Trail or the Waimea Canyon, and the Koke’e State Park. 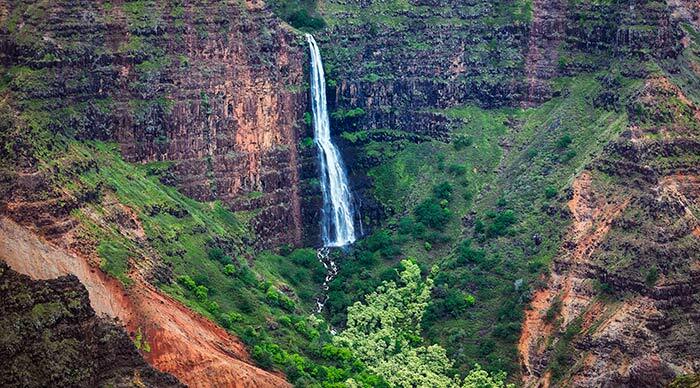 Revel in the tempting lush natural beauty that Kauai has to offer. 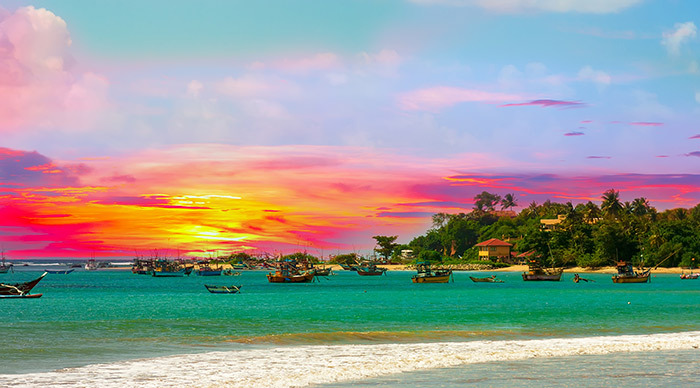 Numerous resorts and private beaches can be found embedded along the coastline and provide a worthy respite from the harsh cold of our concrete jungles. While this may be India’s smallest state, it is without a doubt big on tourism and sights to see. 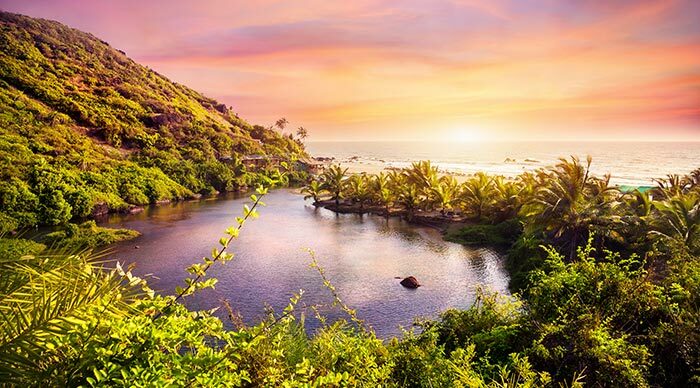 Rich with its Portuguese heritage, and Indian history, Goa is the place to escape from our urban prisons and relax along warm and sunny sands of the famous Calangute Beach. Rife with resorts that boast of private beaches, and old forts like Fort Aguada, this is the ideal vacation place. Goa, being so close to the ocean prides itself for its seafood which is fresh caught each morning and laden with both Portuguese sensibilities and Indian spices. Goa is India’s smallest state, with just 63 miles of coast on the Arabian Sea is longer. But what a stunning coastline! The place is a haven for anyone wanting to enjoy warm sands and beautiful scenery, particularly in areas like Calangute and Candolim. 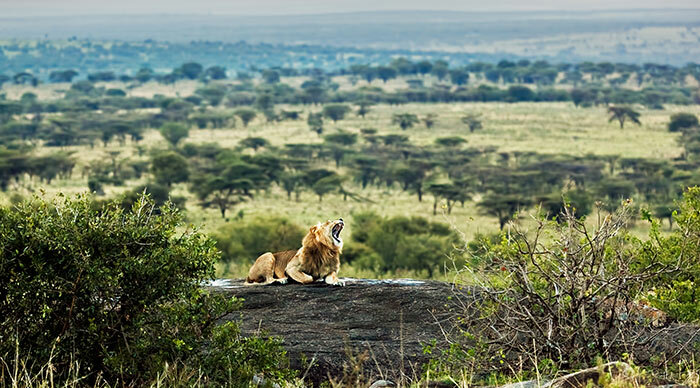 Tanzania has been emerging as the destination for satisfying a craving for the great safari. From the wildlife of Ruaha National Park and the iconic Serengeti or the volcanic Ngorongoro Crater, to the infamous snowy zeniths of Mount Kilimanjaro and the warm beaches of Zanzibar, Tanzania beckons to you with the tantalizing scent of adventure. Make sure you get to witness the awe of the Great Migration in the Serengeti, an incredible event that has to be seen to be experienced. Charleston, South Carolina, has for years been a charming destination bubbling with romanticism and old world charm. A temperate climate, courtesy of being another jewel in the treasure that is the American south, makes it a destination that cannot be missed in the cold month of January. There’s plenty to see, from the famous Myrtle Beach to the Victorian Architecture of Broad Street. 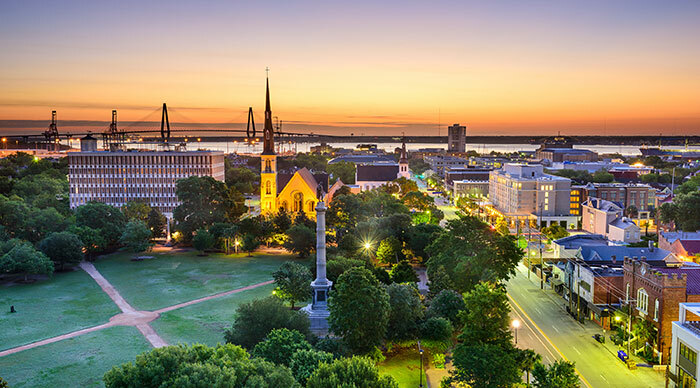 Take in the sights of sturdy Fort Sumter, the birthplace of the civil war, or walk along the popular Charleston harbor. Make sure you don’t miss the alluring Charleston City Market or some stunning cuisine from restaurants like Husk and FIG. If a beach side escape or a European sojourn does not strike your fancy, the laid-back Lake Tahoe will certainly hit the spot. 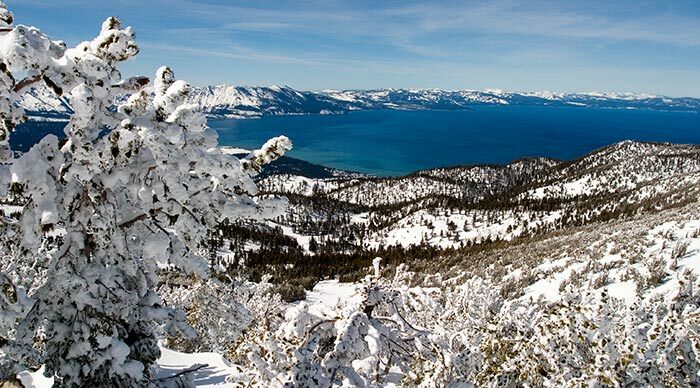 Lake Tahoe might boast of stunning skiing, and snowboarding options but you’ll find that the true appeal lies not in the adrenaline-heavy ski resorts and snowboarding joints of January but in the breath-taking views from the mountains of the great state of California. Lake Tahoe also has some epicurean delights that one must not miss out on, especially after a long day of thrill seeking and skiing among the snow-capped mountains of California. Pack your bags and hop onto your next adventure. And while we’re on the topic of adventure, stay tuned for some great insights into some of the greatest adventures on the planet, only on Bookmundi! In January dear clients you can trek in Nepal.In Nepal there are many low elevations trekking regions like khopra trek,Ghorepani treks,….at this time in Nepal sky ,mountains are is clear, it rains but very rarely… if you have well prepared trekking offer you a lots fun..